Jenny Brown found comfort in a somewhat unlikely source while facing bone cancer as a child and subsequently losing the lower half of her right leg. Her cat Boogie stayed by her side. Over the last decade, Brown’s found a way to give back to hundreds of animals who needed a helping hand of their own. 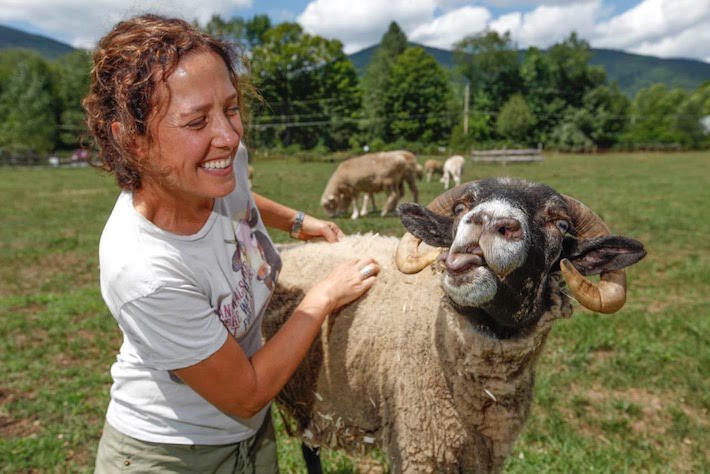 She founded the Woodstock Farm Sanctuary 11 years ago with just a few chickens, and the organization has become so successful in rehabilitating and caring for disabled animals that they’ve recently expanded to a 150-acre camp in High Falls, New York. 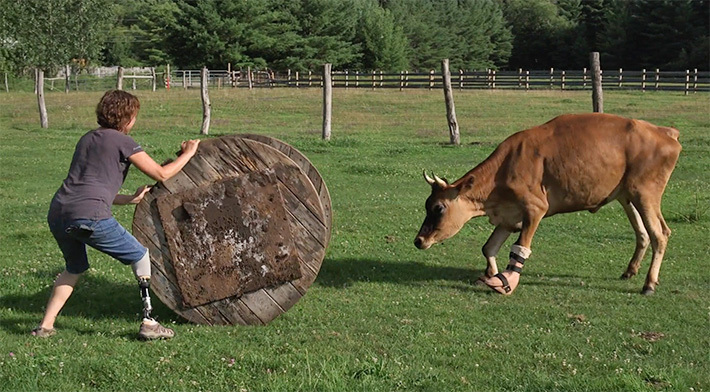 Brown documented the relocation in a short film, “She Was There For Me: The Story of Jenny Brown & Woodstock Farm Sanctuary,” and she also explains why the creatures hold such a special place in her heart. Brown was diagnosed with bone cancer when she was just 10 years old; doctors amputated her leg to keep the cancer from spreading, and she underwent a number of grueling chemotherapy sessions. Brown credits Boogie for helping her cope, as well as giving her a new perspective on how we view animals. The Woodstock Farm Sanctuary provides shelter to cows, pigs, chickens, turkeys, ducks, sheep, goats and rabbits who’ve been “rescued from cases of abuse, neglect and abandonment,” according to its website. “For the first time in their lives, animals who have only known fear, isolation and suffering now enjoy warm and clean barns, nourishing food, veterinary care and love,” Brown says in the video below. 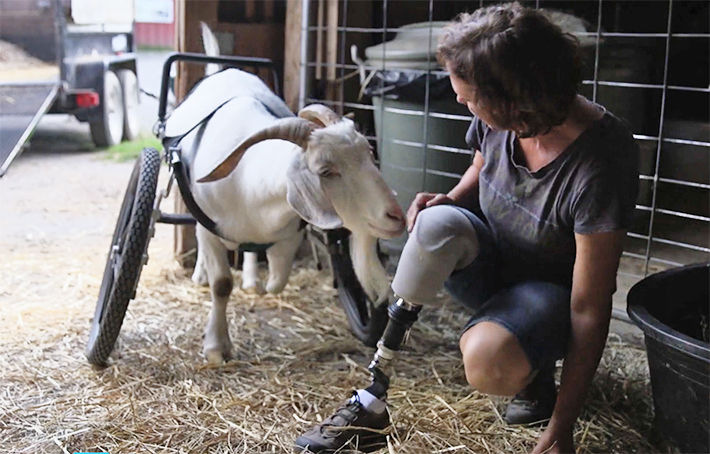 Be sure to watch “She Was There For Me: The Story of Jenny Brown & Woodstock Farm Sanctuary” below, and visit the Woodstock Farm Sanctuary’s website to learn more about the organization. 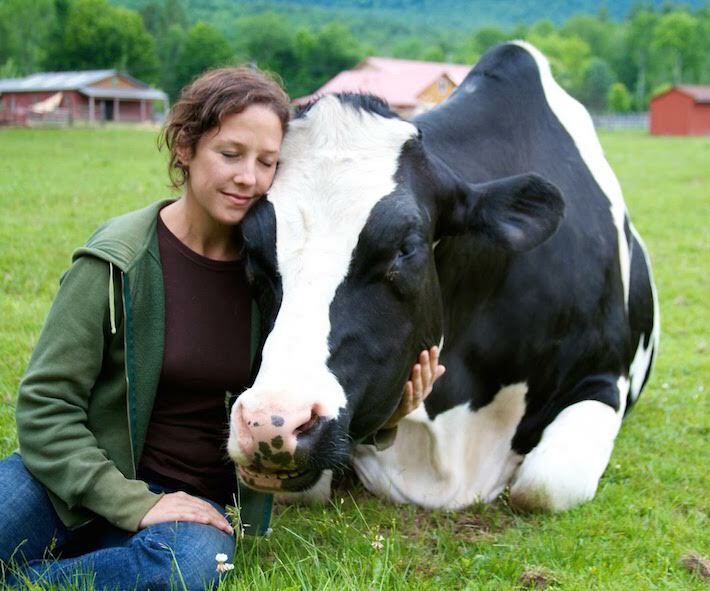 She Was There For Me: The Story of Jenny Brown & Woodstock Farm Sanctuary from Woodstock Farm Sanctuary on Vimeo.